It has been 10 years when Apple has launched the iPhone and some people are using it from that time. 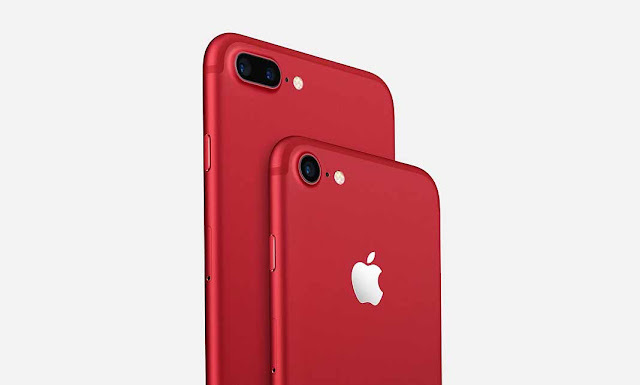 But we bet even if you using it for last ten years you must not be aware of the all the features iPhone offers, it is because Apple keeps on adding the features with all new updates. Today in this article, we are going to talk about the 5 great hidden tips of iPhone which will blow your mind. Apple has been expanding the size of iPhones in the last 10 years, meaning the original one looks tiny compared with current models. But that original phone was also easy to hold in the palm of your hand – not something that can be said of the gargantuan Plus-sized models. To allow you to cope with that, Apple added a feature called Reachability, though it doesn't talk about it much. It's activated by just tapping – not pressing down – on the home button twice. When you do that, the entire top of the iPhone screen will be moved down, putting the parts of the screen that you can't normally get to within easy reach. That's perfect for small-handed people using the huge-bodied iPhone 6 Plus, or for anyone trying to use the bigger phones with one hand. The compass app seems like a strange addition – unless you're particularly given to mountaineering or are leading a Scout troop, you've probably never had call to use it. But that might have kept you from finding the part of the app that's actually useful. Open up the app and flick to the right and you'll be given access to a spirit level, which uses the phone's sensors to find out how flat it is. That can be perfect for a range of things – measuring whether pictures or floors are straight, for instance. Apple works hard on accessibility, something that it doesn't always show off about. That means there's a range of features built into iPhones to make them easier to use – some of which might go entirely unknown. Head to the Accessibility pane in the Settings app, and you'll find the place to turn all of those on. They include features like the ability to turn on a magnifying glass, to see smaller bits of the phone's display, or to reduce the motion that can lead some people to feel traffic sick while navigating around the phone. You can also turn on a setting so the iPhone's torch flashes when you get a notification, for instance, if you have trouble hearing it. It's worth having a look through all of this part of the Settings and seeing what you can find. Autocorrect might be responsible for a lot of embarrassing situations where it picks the wrong word. But you can use it to save an awful lot of time. By using the Text Replacement options in the Keyboard settings, you can add things you often type. The default example that Apple enables is "omw", which can autocorrect to "on my way", but you can add whatever words you want. If you find yourself typing out an address a lot, for instance, then add that address to the substitutions and give it a shortcut like "addy". Then whenever you type that little word, the phone will give you the entire address and you can let the phone do the work. The little remote built into your iPhone earphones is useful for the obvious: playing and pausing, and moving the volume up and down. But it does a lot more, too. Perhaps the most significant of them is that you can use the volume up button as a way of triggering the camera, just like you can with the corresponding button on the side of the phone.